Leaving tomorrow morning for a 3-day conference in Dallas, Texas. Plan on having some R&R there on Friday and Saturday. 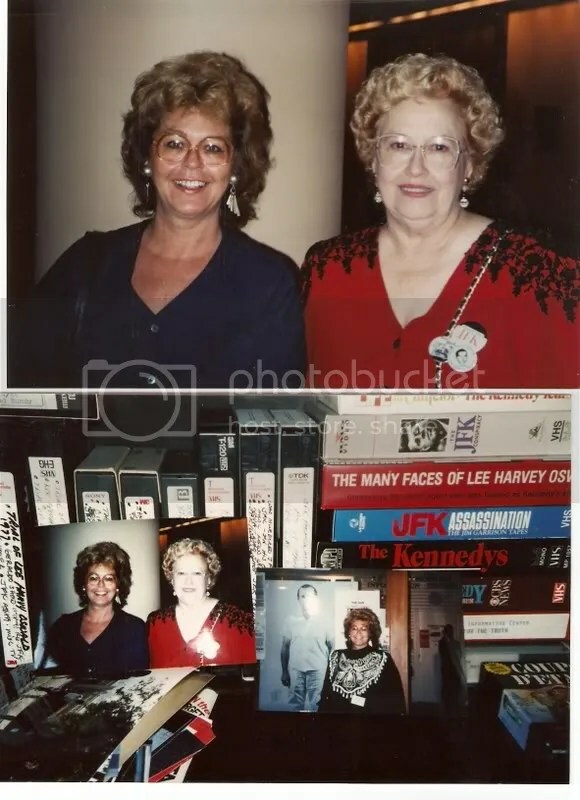 In previous trips I usually hooked up with Jean Hill, known as “The Lady in Red”, who was standing next to Mary Muchmore in that very famous President Kennedy assassination photograph. I wrote to Jean in 1976 when I was doing some serious research on the case and met her in person 3 years later when I went to Dallas to interview a few police officers who were still on the Dallas Police Department. Jean and I stayed in touch and exchanged Christmas cards each year. 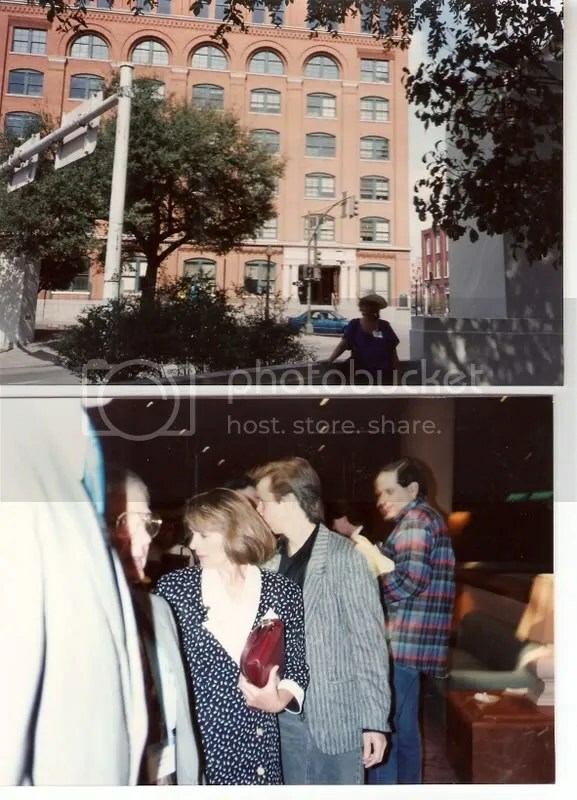 We posed for this picture at the 1993 JFK Assassination Symposium. 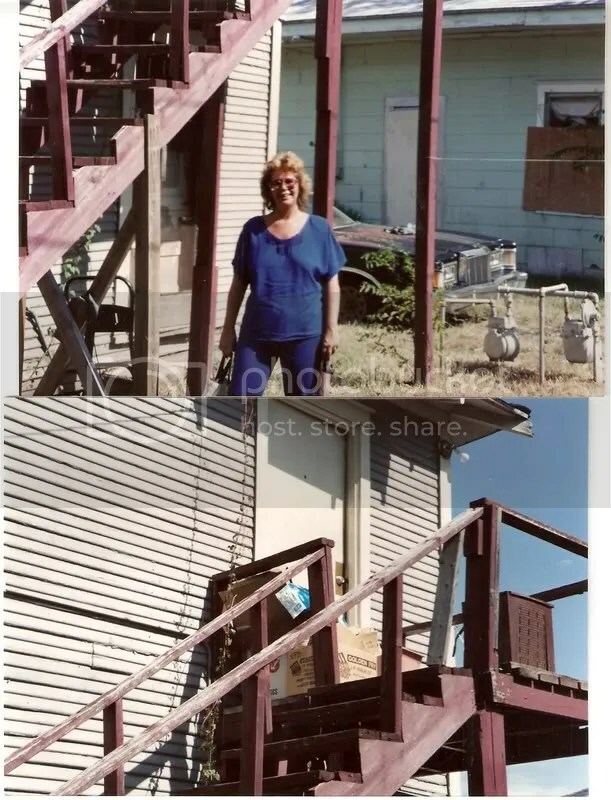 She died about 7 years ago. Jean was a lovely lady and was often maligned about that “little white dog” in the back of the car JFK rode in….but thankfully she was vindicated before she died. 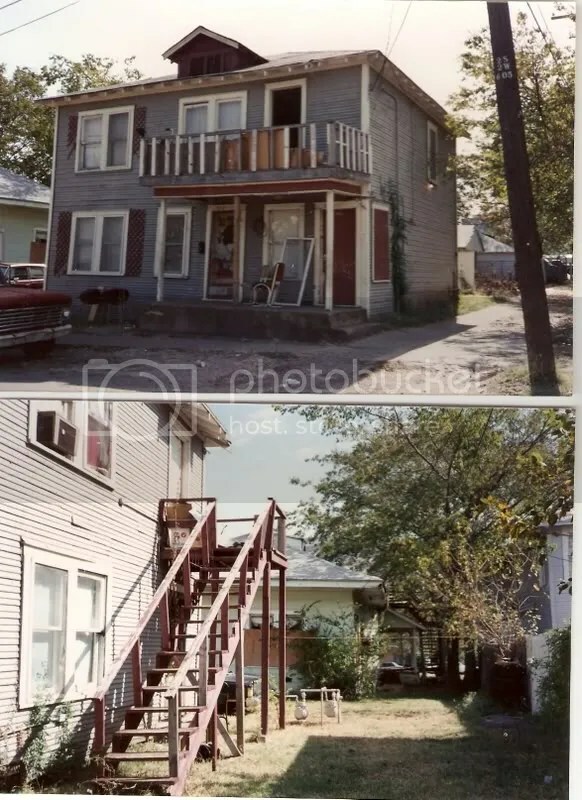 I also plan to go by the Neeley Street apartment and see if it’s still standing. 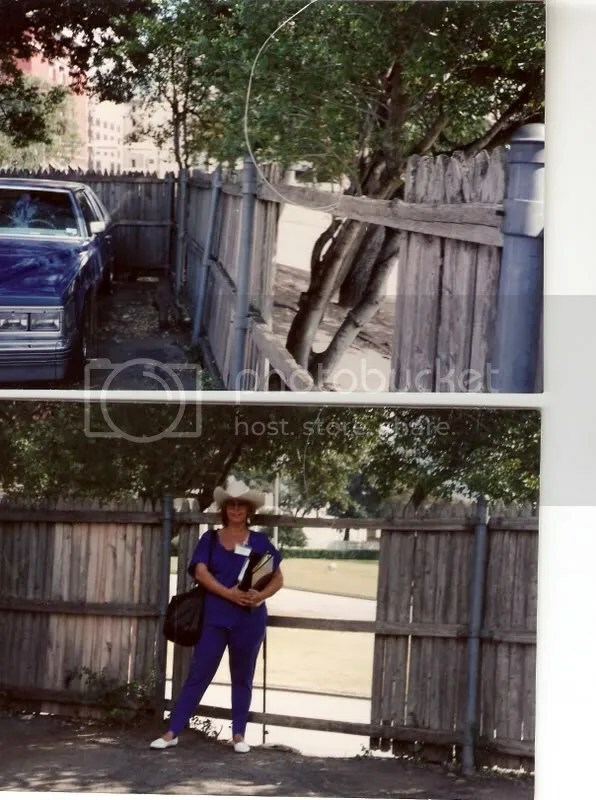 I had this picture taken in the same year standing in the spot Lee Harvey Oswald stood posing with the Manlicker Carcano (sp) rifle in one hand (which he used to shoot President Kennedy), and a communist publication in the other. I used to imagine Marina lumbering down those stairs with a load of wash to hang on the line, pregnant with her second child. It’s been a while since I’ve been back to Dallas so I’m looking forward to seeing that skyline and visiting the West End again – one of my favorite areas of the city. Since this event is similar to that held recently at Raytheon in Massachusetts, maybe some of the same people I met interested in Lizzie will be there. I began studying the JFK assassination in the early 1970’s and still have my own complete 26 volumes of the Warren Commission Report. Tedious reading those volumes. No indexed paragraphs whatsoever; the pages just spill over one after another in block form, and all the photographs are exhibited all in the last volume. The amazing thing that struck me over three decades ago was how much information was gathered by the FBI in such a short period….and with 1960’s technology. And yes, I believe LHO acted alone. And that O.J. acted alone. As did Lizzie. Watching CNN I get this image of future virtual elections where we don’t even go to the polls or mail in a ballot. We will leave it all up to the media and its precinct reporters, political strategists, assorted “15-minutes-of-fame” hired talking heads we’ve never seen before, animated anchors fueled by Red Bull, clever digital graphics and redundant candidate speech videos, We will be both mesmerized and seduced by the non-stop explanations of socio-geographic percentages as they relate to the red and blue states while wishing all states were just a phucking purple. As the virtual election day progresses, we will note the heightened excitement of the cable and network news anchors as they engage in a maniacal race for calling the winner based on projections as mystifying and astonishing as the new new math. We will be further astounded by the subsequent accuracy of their “calling it” on winning candidates and ballot initiatives with only 0.2% of all voters in all precincts across the nation having voted. We will succumb to the veracity of what they are saying because, after all, they are not only seasoned political commentators but also college professors, former press secretaries, newspaper publishers, precinct organizers and people we’ve never seen or heard of before but deliver their monolog with convincing hand gestures. Men, especially, will be seduced by the rhetoric of the 20-something blonde, hard-belly Stanford graduate babe who says things like: “Just as with the 1948 election…..”, while women over 60 will just want to rip her throat out. By the time 3:00 pm on the west coast arrives, 90% of all candidates and initiatives will have been “winner called”, and by the 5:00 pm news we can watch the losers thanking all their volunteers. We won’t even have to read the morning’s headlines to know who won or what passed – we will have learned all about it long before Sons of Anarchy airs. Yep, virtual elections. Next development: Bio-robotical candidates with a downloadable app for virtual campaigning. 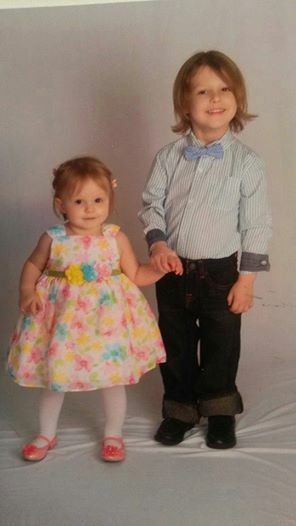 It’s Easter Time and Here’s My Grandchildren! In the category of “Nothing to Do With Lizzie” – I share these videos and images of my grandchildren who have raised the bar on defining cuteness and adorable. 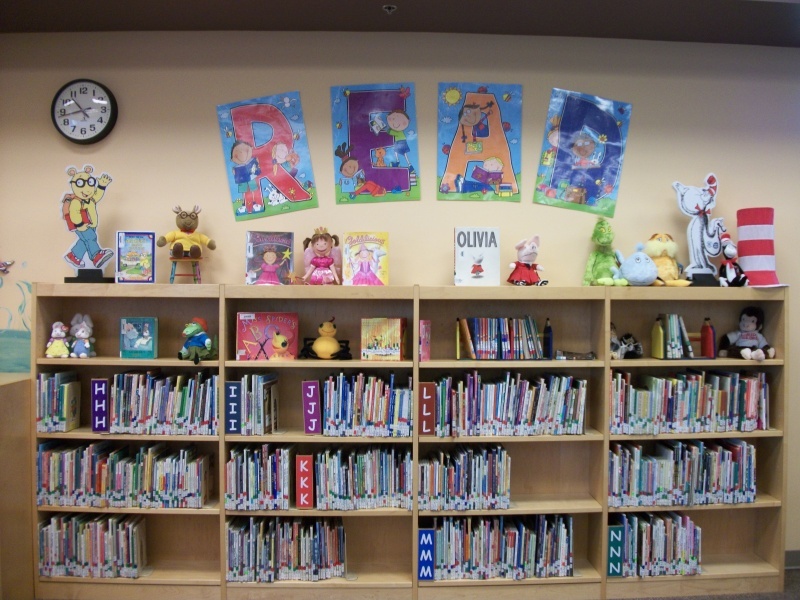 From library children story-teller to community college teacher to elementary school librarian,. Sometimes you have to weigh the positives against the negatives. Working for the private sector and traveling 2 hours a day just to get to work and back, hunkered over a PC in a cubicle, surrounded by flat bellied 20-something blondes. No upward mobility because the competition is so fierce, especially when the degrees you hold are not relevant for the bigger paying, more prestigious jobs.. Age is also a deterrent in the private sector, contrary to federal laws. OR, OR, you rush back to the familiar comfort of the public sector. Much shorter drive, lots of days off, get to work more or less on your own….no one to supervise but no one watching over your shoulder (or cubicle). However, significantly – very significantly – lower salary. But upward trajectory could lead to a full service librarian in a middle or high school or even college. Hoping the opportunity will present itself soon as there’s not too many years before turning 60. Biggest drawback: Impact on Social Security retirement earnings. Biggest plus: In charge of which books to recommend and operating the little library. A sense of control. No more cubicle. No more drive. Lots of days off. It was no surprise to me that a person I know could not hack the private sector never having been exposed to that environment before. We are, after all, creatures that gravitate to what we know. * Operates and supervises the school library. * Assists teachers in the selection of books and other instructional materials, and make library materials available to supplement the instructional program. * Informs teachers and other staff members concerning new materials the library acquires. * Maintains a comprehensive and efficient system for cataloging all library materials, and instructs teachers and students on use of the system. 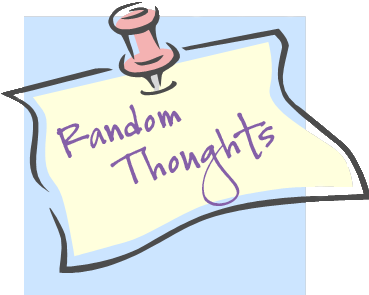 * Works with teachers in planning those assignments likely to lead to extended use of library resources. * Promotes appropriate conduct of students using library facilities. * Helps students to develop habits of independent reference work and to develop skill in the use of reference materials in relation to planned assignments. * Presents and discusses materials with a class studying a particular topic, on the invitation of the teacher. * Participates in curriculum meetings. * Arranges frequently changing book-related displays and exhibits likely to interest the library’s patrons. Although It’s a downward trajectory coming so late in a work life, there is always hope. Stay positive. 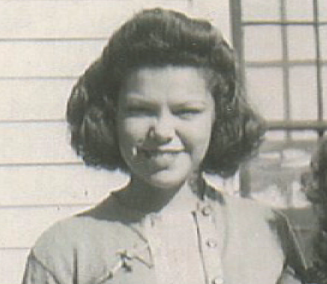 It’s December 7th – the date my mother turned 13 in 1941. She lived in Honolulu and this is her story. Here is the Trailer to a new documentary by Chris and Allison Ritter. EXCLUSIVE! 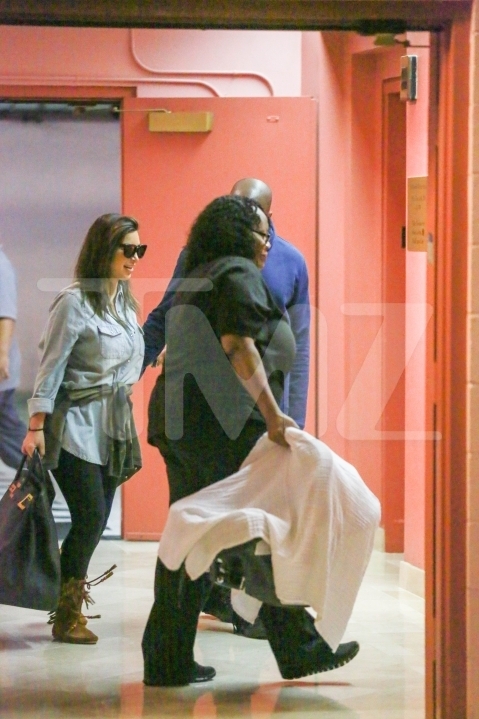 POST NATAL AUDIO TAPES OF KIM KARDASHIAN AFTER DELIVERING BABY! Talk about timing! 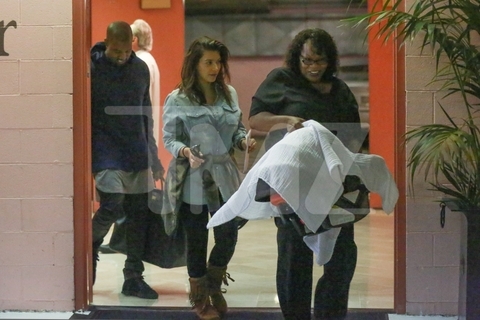 Earlier this evening I posted about the first photos of Kim Kardashian walking and with her baby on my Facebook page. Now she has the bodyguard carrying her purse. 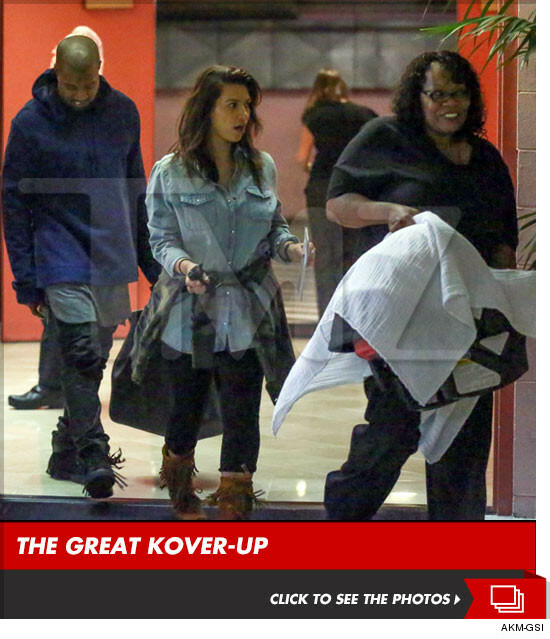 Bodyguard guarding Kim going out the door, not the baby. 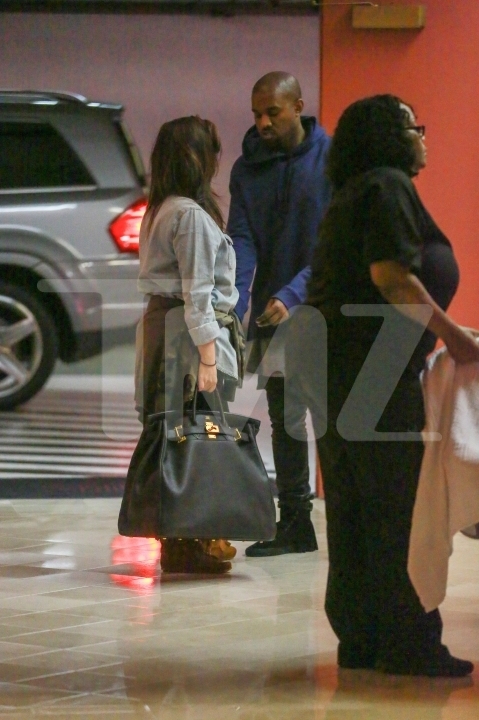 Kim still gripping her designer bag. Dr. Delivery: So, how are you feeling, Kim? KK: How do you think? Look at me. I’m a mess. DD: That’s to be expected. Actually, you look fine. Would you like to see your little baby daughter now? KK: You’ve got to be kidding! Like this? Khloe, hand me my mirror……Oh….My…..God. Kris Jenner: Oh honey, you don’t look bad. Really. KK: Easy for you to say, you didn’t go through what I just did. KJ: Uh, actually I did. Seven times. KK: Look at my stomach! Doctor, can you prescribe something for me to make my stomach go flat? DD: It will reduce faster if you breastfeed. KK: Breastfeed??? No way. Khloe hand me my lipstick. Kourtney Kardashian: Kim, you don’t want to put on lipstick – you’ll get it all over the baby. KK: Not if I don’t kiss her, I won’t. I’ll just pat her on the head and hug her, right honey? Kanye West: (standing in a corner of the room, head down) Don’t look at me. Don’t even talk to me. KK: Doctor, I am so stressed. I absolutely have to get my weight back to at least ten pounds LESS than I was before I got pregnant,. I can’t be photographed until I look amazing. Bruce Jenner: I’ll design a work-out program for you. Kris: Leave her alone, Bruce. I don’t even know why you’re here. DD: I’ve sent the nurse for the baby, Kim. It will do your spirits good to see her. KK: Doctor, I can not be seen in public until I look absolutely fabulous. I want you to prescribe something that will accelerate my weight loss. DD: As I’ve recommended, breast feed for ….well, just try it for 3 months. Kourtney K: It worked for me. KK: Well, I’m not you, am I? You don’t have the obligations and work load I have do you. Isn’t that right, honey (looks at Kanye). Kanye: Why are you talking to me? KK: Mom, have you found a Nanny yet? I’m not, repeat, I am not, going to be changing poop out of a diaper when I get home. I’m not, I’m not, I’m not. (Checks herself again in mirror). Nurse: Here’s your little daughter. KK: Wait. Kourtney, take this mirror. Khloe, take this lipstick. Mom, hand me a tissue. Nurse hands Kim the baby. 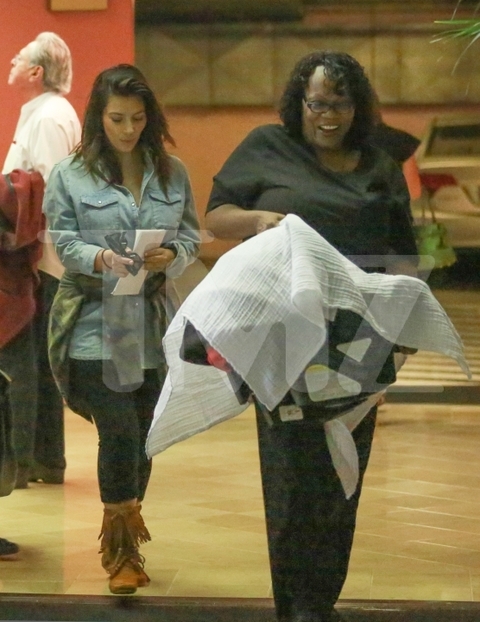 Kim puts tissue on top of baby’s head, bends her head down and purses her lips about 3 inches from baby’s head. DD: Yes, ma’m. Absolutely. You’re the best mother I’ve seen all day. Well, I better go and start my rounds. Goodbye ladies, Bruce, Mr. West. KW: (still in the corner, still looking down) Don’t talk to me. KK: Here mom, you take her. I’m exhausted. Khloe, hand me my Blackberry. This isn’t about Lizzie Borden but it’s more important.